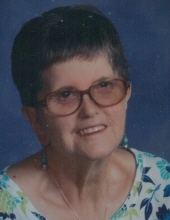 Leola Fay Young, 68, passed away March 14, 2019 in Houston, Texas. She was born to parents Sylvester and Inez (Oliver) Young in Livingston, Texas on September 5, 1950. Fay was a loving cousin and friend. She graduated from M.B. Smiley High School, class of 1971. Fay enjoyed wearing hats and loved caring for her puppies. She is preceded in death by her parents; and by her sisters, Sarah Ann Young, and Bettie Sue Young. Fay is lovingly survived by her boyfriend, James Williams; cousins, Donna Ewing, John and Pam Lindley, Kenneth Lindley, LaNita and Brad Hildebrand; as well as numerous extended family members and friends. Friends are welcome to join the family for visitation from 6:00 p.m. to 8:00 p.m. Tuesday, March 19, 2019 at Carter-Conley Funeral Home. She will be laid to rest privately at Brookside Memorial Park under the direction of Carter-Conley Funeral Home. To send flowers or a remembrance gift to the family of Leola Fay Young, please visit our Tribute Store. "Email Address" would like to share the life celebration of Leola Fay Young. Click on the "link" to go to share a favorite memory or leave a condolence message for the family.